We are a leading Manufacturer of surgical diathermy from Chennai, India. We are the leading manufacturers of Surgical Diathermy. 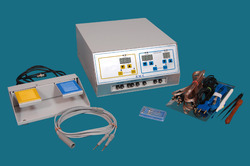 Looking for Surgical Diathermy Equipment ?